When you win a faceoff involving this card, turn this card over. 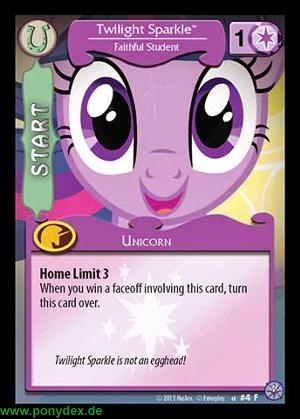 Twilight Sparkle is not an egghead! 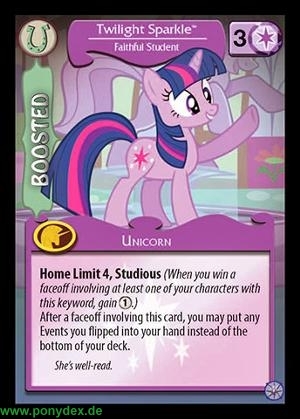 After a faceoff involving this card, you may put any Events you flipped into your hand instead of the bottom of your deck.